How about a game of soccer? They let Sadie out of the hospital this morning! Thanks to everyone for the prayers. For those who don’t know, Sadie was taken in to the E.R. at Elliot hospital on Friday morning around 5:30am. She had a really bad cold and was having trouble breathing. 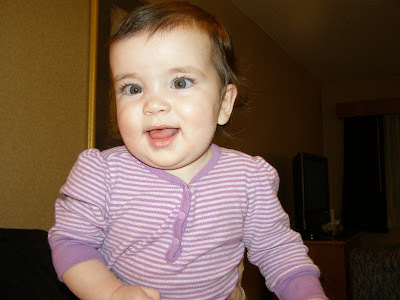 She tested positive for RSV (see Wikipedia) and they admitted her to the pediatric wing. She is feeling a little better now, but her oxygen level is still dropping below the normal 93-100% when she sleeps. They do not want to discharge her until they see a steady oxygen level. We are thinking sometime this week she will get out. I will post more when we get any info. We are in a movie!